“Closet I’ve ever come to seein or feelin God is listening to Rap music. Rap music is my religion. Amen.” Killer Mike begins the proverbial titled record, “R.A.P Music,” with a statement that could easily resonate or offend. High EQ’s, wicked bass and stuttering synths. Big Beast featuring Bun B, T.I. and Trouble is the epitome of Hip Hop. Clever drums and electric guitar strums the attitude of Run DMC with southern lyricism. 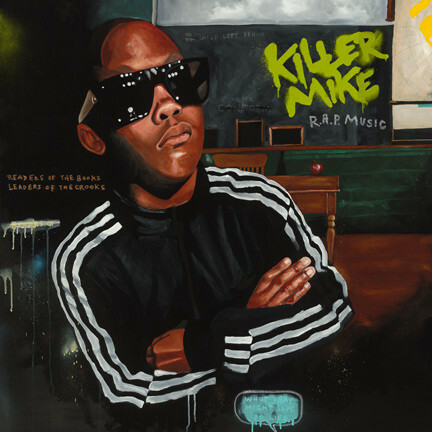 Rightfully an extended member of the Dungeon Family (UGK, OutKast, Goodie Mob, and others), Killer Mike releases an independent 12-track LP entirely produced by EL-P via William Street Records. R.A.P. Music, which stands for Rebellious African People’s Music, is an uplifting, speakeasy with southern fried elements. R.A.P. Music available on iTunes. Paul: Your reviews are second to none…very detailed and fun to read.